​Surprise the children with a REALLY messy room – litter everywhere, papers, banana peels, used paper towels, etc. Oh, no! Can we play and work comfortably here? What to do? Encourage co-operation. Work together to set up a recycle station at your school or home. Decorate and label the separate containers, and put them in a prominent place so they will be used. 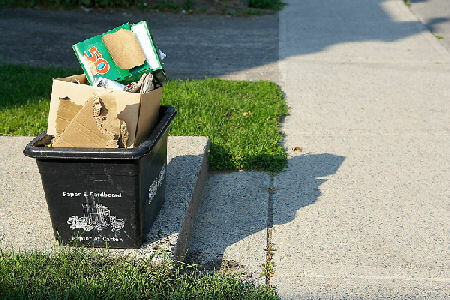 ​We encounter garbage, refuse, and throwaway things in our environment everyday. Let’s think of some times when we need to throw things away (dispose of). (After cooking and eating, waste paper products, old toys, newspapers and magazines etc). Fortunately, much of our garbage can be recycled. Paper and cardboard products can be processed and made into more paper products and other things. Plastic trash can be transformed into many different things, including homebuilding products. Aluminum cans can be recycled. That means many parts of our trash can be recycled and used again in different ways. When you outgrow a toy or a shirt, does it have to be thrown away? What else could you do with it? ​​Make a Litter Bag for your car from a brown lunch bag (add a handle to hang it) or a plastic grocery bag. Decorate it. Create an amazing project using only things that have been recycled (except for glue and tape).